Big Soap Bubbles In A City Park In The Sun. 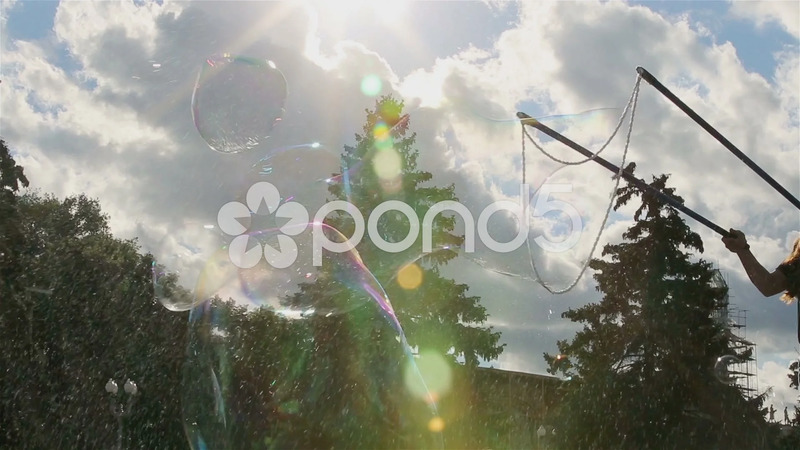 Description: Big Soap Bubbles in a city park in the sun. Young people Fun Blowing big Soap Bubbles in a city park.